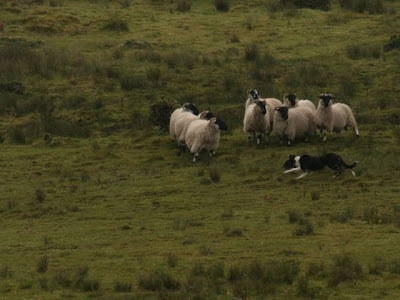 On my last trip to Ireland, I spent an afternoon watching a pair of dogs herding sheep. It was a truly remarkable experience. 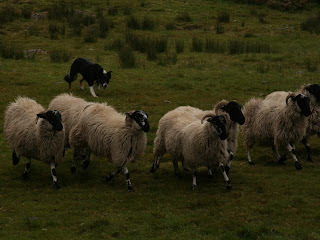 The dogs were fantastically well-trained, and truly seemed to take joy in their work. If you ever have the opportunity to watch dogs working like this, I highly recommend it! So, if you've been to Ireland, what would you recommend that I do on my trip this month? And if you haven't been, what would you do if you were to go? Thanks to all who joined from DeliciousBaby.com's Photo Friday! Visit DeliciousBaby.com to see more great Photo Friday posts. I've never been to Ireland but I have enjoyed all kinds of Celtic music so I'd probably suggest finding a good folk concert. Especially if you can find a really small venue. you know, all the photos are so very green. i love it. great action shots!! i grew up on a farm with sheep and goats. 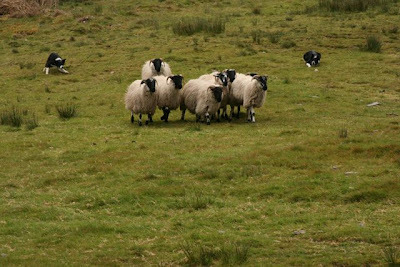 herding, indeed. sigh. I've been to Ireland probably 12 or 13 times now. Plus, I lived there for one year of university. 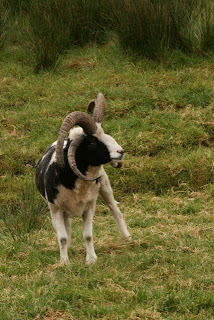 I would recommend going up to Donegal and the Northwest (Sligo & Mayo) for more pastoral scenes. 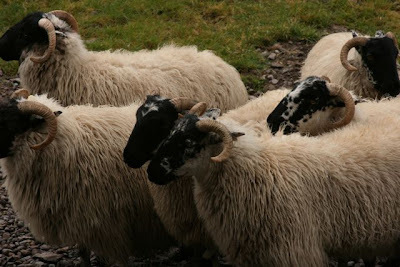 I love sheep, and you will find plenty there, especially in Connemara. Enjoy your trip! Wonderful series of shots. Have a great trip. It's a place we hope to make it to in the next couple of years. Look forward to seeing more pics when you return. That is so cool! I love the pictures! 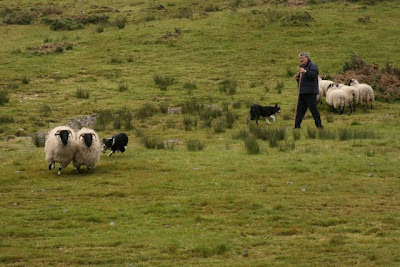 very nice pics :) we had a herding dog ourselves - an australian shepherd - even though she never got to herd sheep, she liked herding us! 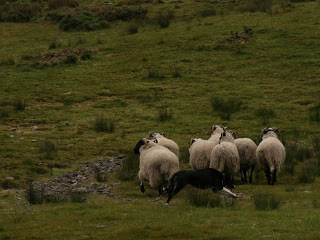 I am envious - have always wanted to go to Ireland - can't wait for more pictures from you! I always found this to be interesting to do! I feel bad for people who are always doing it, must be pretty boring. But to enter their life for a day would be great. Plus, having a dog do it for you, is even better! 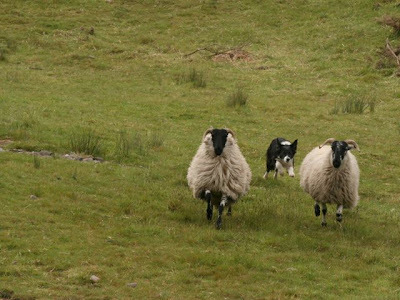 I love the picture with the jumping sheep! 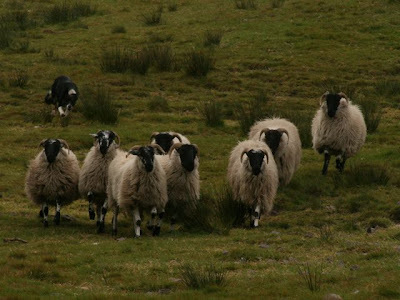 I think it must be a great life, being a shepherd, always outside in that beautiful scenery. As long as you've got the right clothes! Great shots, Angela. 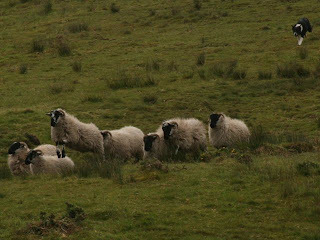 I loved Ireland. Loved... loved... loved it. how about connecting with my Venetian friend in Dublin that reps Italian wines? he was also a musician in Venice and ran Mascheron! Always fun to watch working dogs. If I were to go to Ireland, (I hope to in the future), I would visit St. James Gate for a Guinness. Take in a pub crawl and enjoy the music, and tour the castles in the countryside. Just got back a few weeks ago and it is marvelous! Don't miss the Rock of Cashel (in Cashel, near Tipperary). If you go, walk down to the abbey ruin nearby. cork is my favourite county in all of ireland. Indeed! On my first trip to Ireland I spent a great deal of time in Cork. And I was at the Blarney Castle on a gorgeous afternoon when a wedding was going on. I agree with you, it is one of the prettiest spots in a glorious country! Thanks for stopping by!